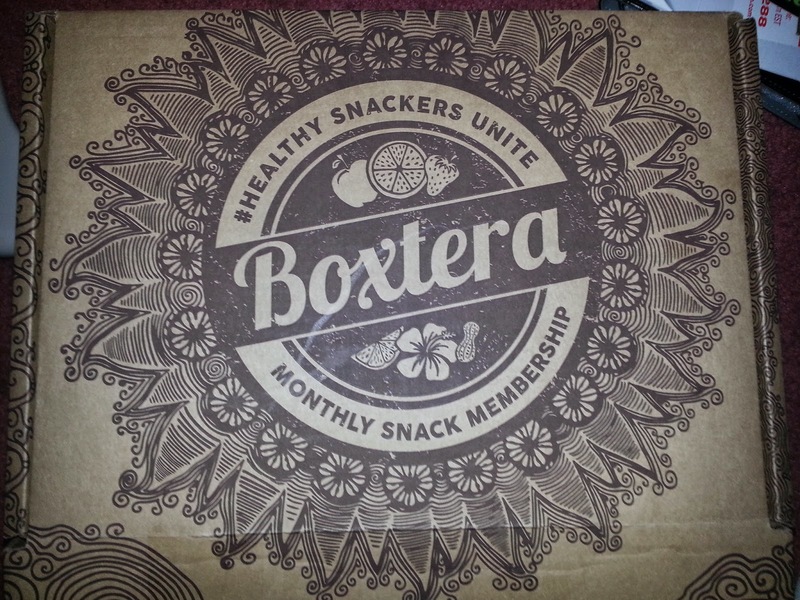 I was really excited when I got this subscription box called Boxtera they have monthly boxes of snacks I got 5 bags that came in my box and I loved them all. 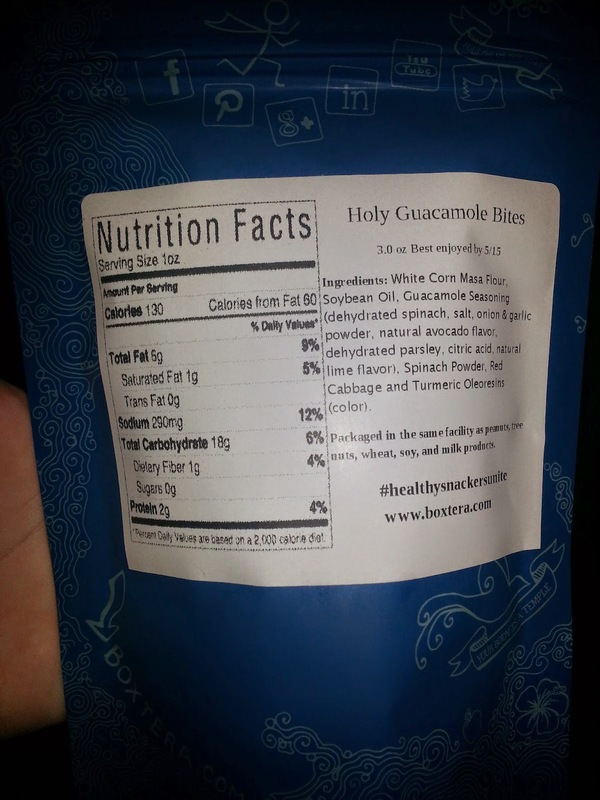 Id have to say I am partial to one and that is their Holy Guacamole Bits these were amazing some of the other's I got were the Cranberry Bliss, Raw Nut Tropical Mix, Chipotle Honey Almonds, and last a peanut butter and jelly bar. 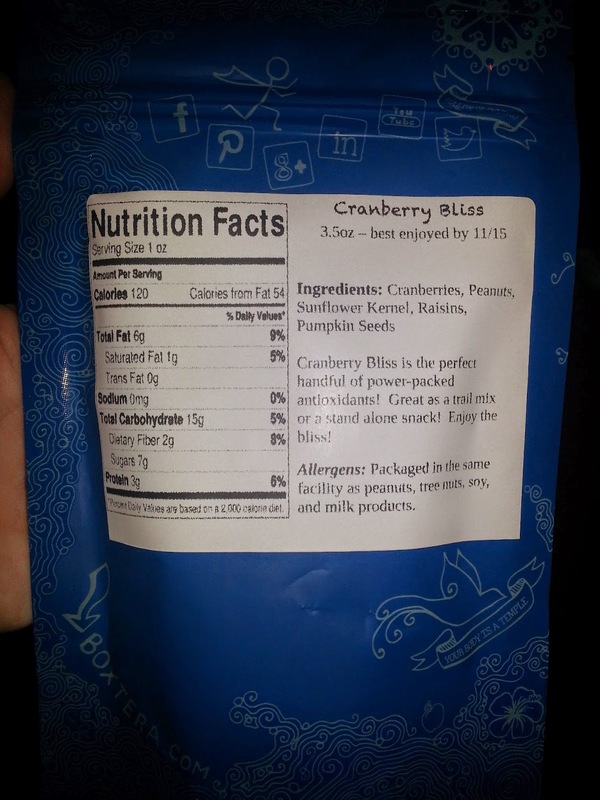 Everything was amazing in this bunch this is a great subscription box if you like to try different snacks like me I love this!! 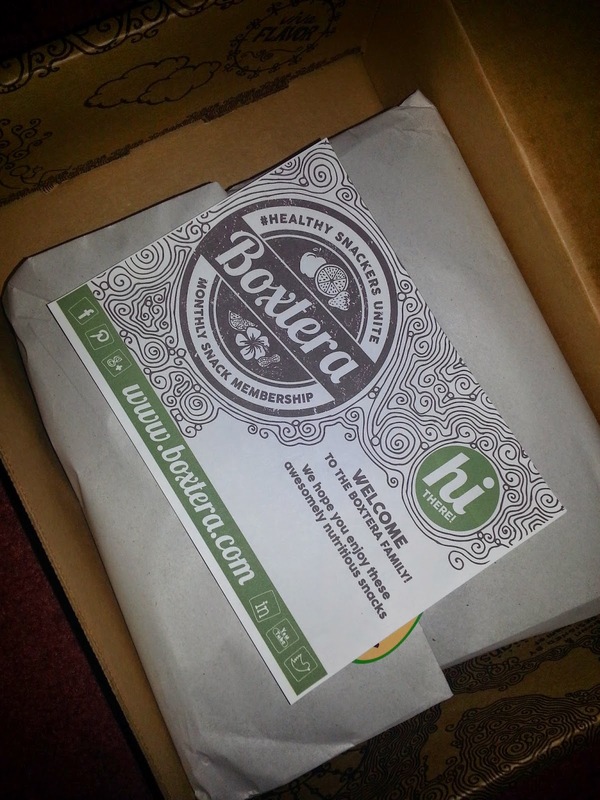 WHAT is Boxtera..... Boxtera is happy to offer a new Discovery Box every month to our members for $19.95 and always FREE shipping. 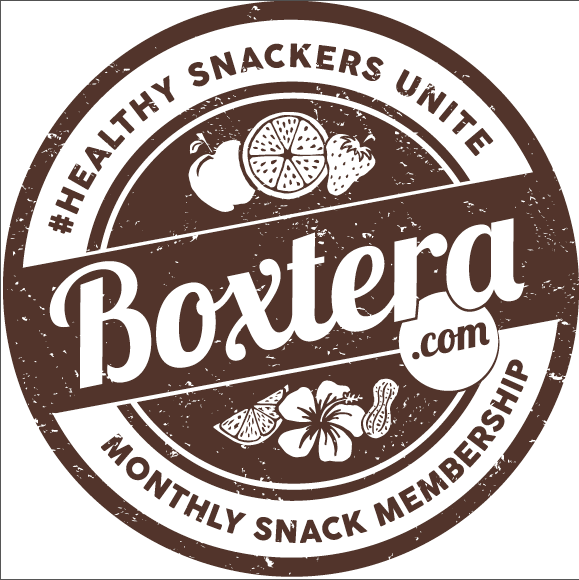 Each month the members recieve 5 suprise hand picked branded snacks from boxtera. 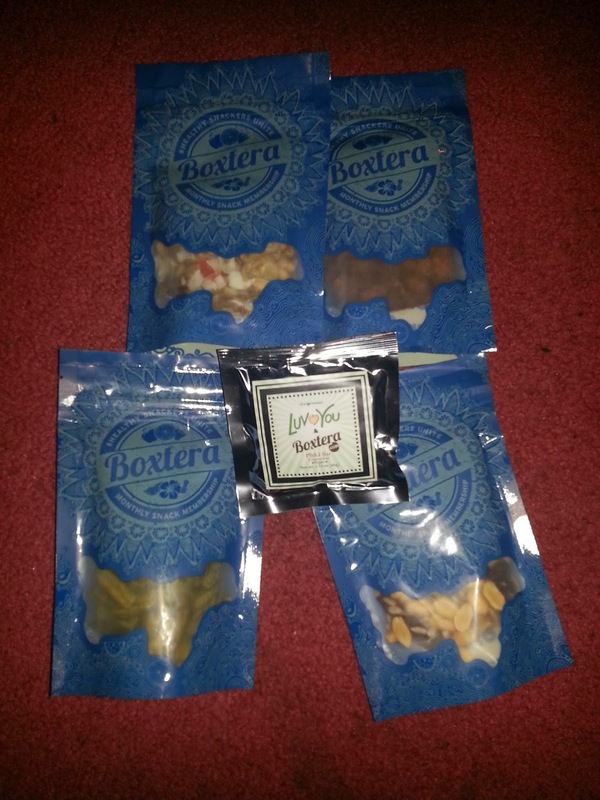 We also have GIFTs of 3, 6 or 12 months that can be pre paid at a deep discount. 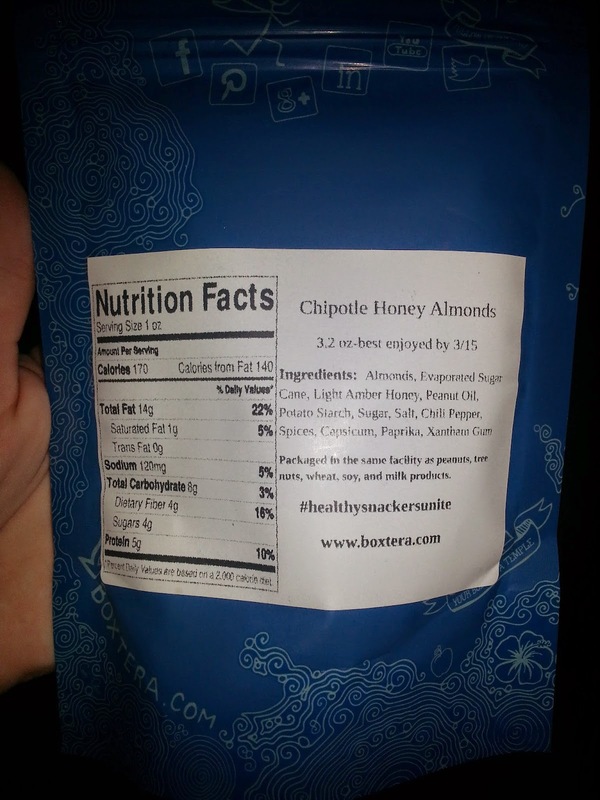 We have promotions and discount codes through out the month. 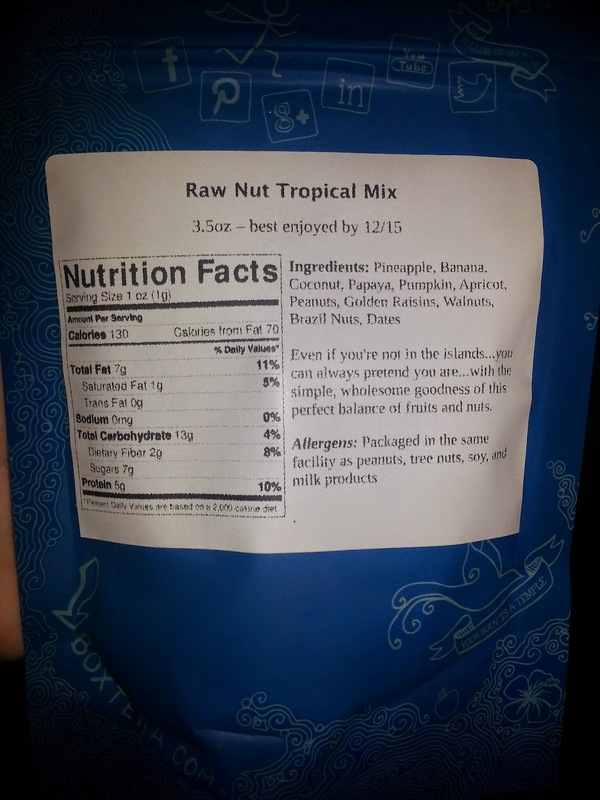 These snacks are perfect to take for travel, picnic's, for a friend, as a gift really anything I am loving my bags and can't wait to tell others about this so they can try them too.